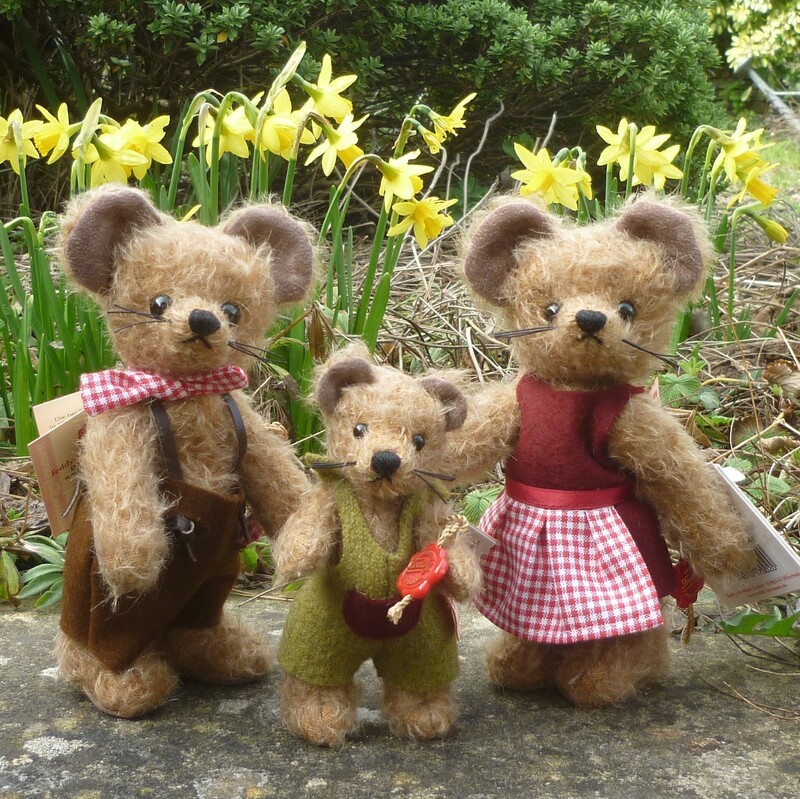 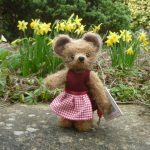 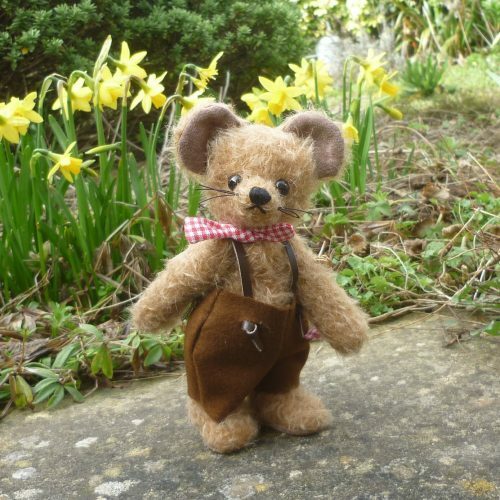 This sweet Mr Mouse is made of sparse, light brown mohair with ultrasuede inner ears, paw pads and tail. 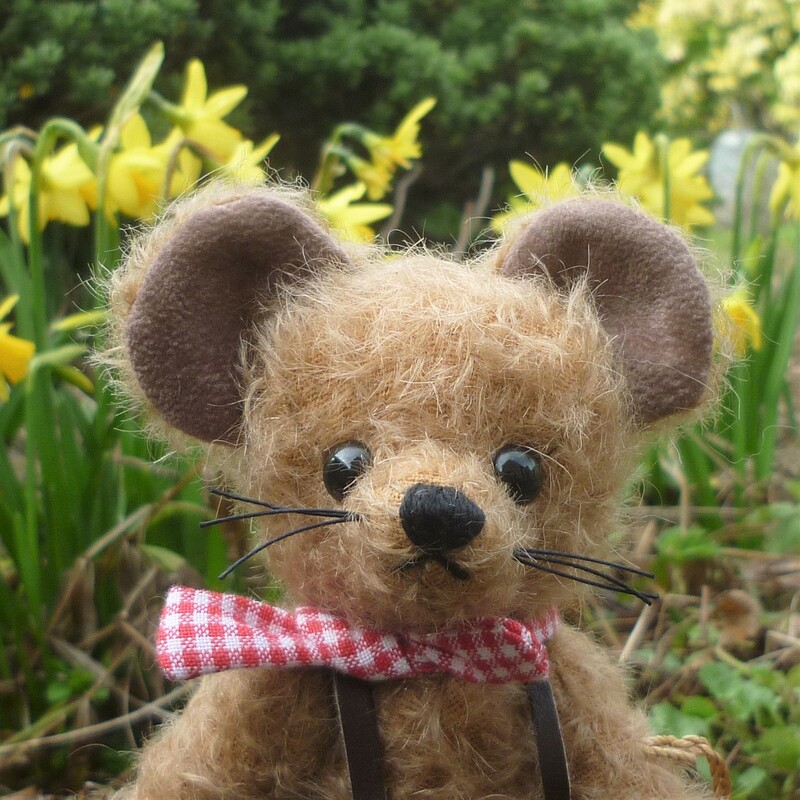 With black safety eyes, a black stitched nose and cotton whiskers, he wears a pair of brown felt trousers with leather braces and a red and white cotton, checked neckerchief. 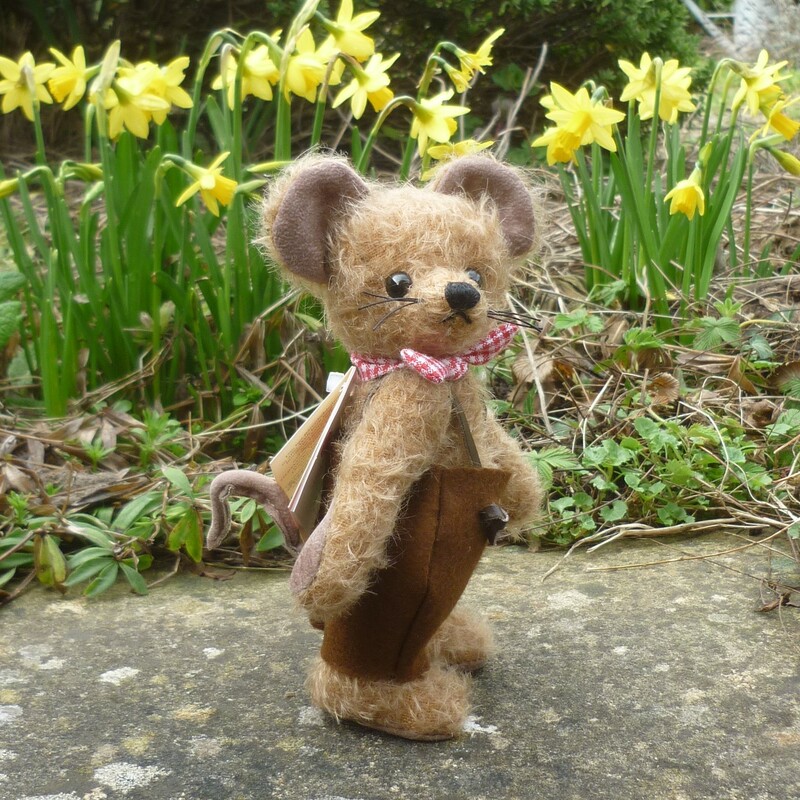 Mr Mouse is fully jointed, can stand freely on his flat feet and his tail is wired. 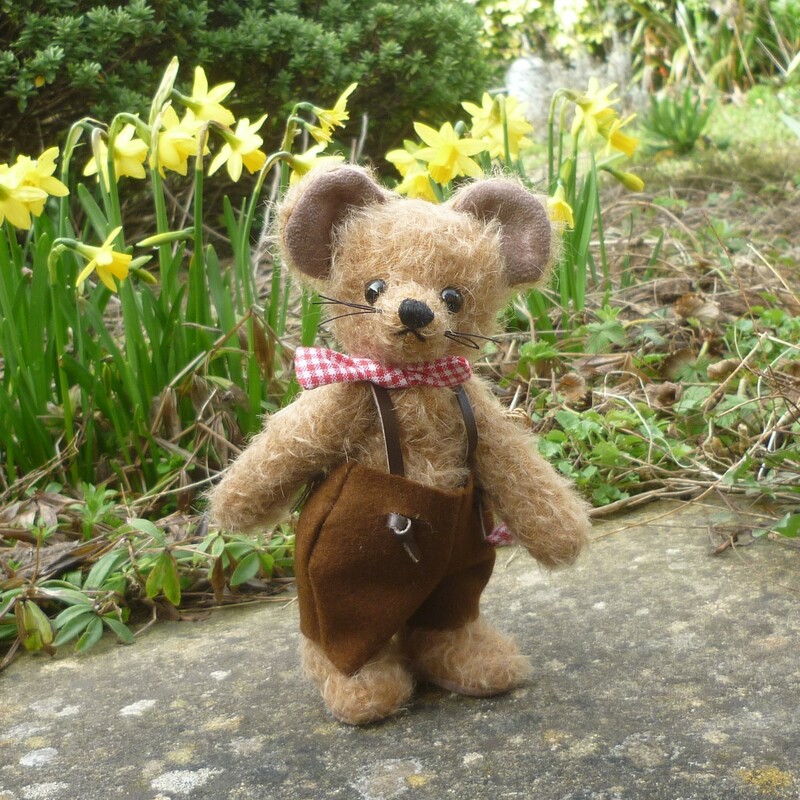 Filled with polyfibre.